Would like to know what the sRGB and AdobeRGB rating is. It's probably not going to anything special. If Wacom can't release a tablet with good color gamut for $2000 dollars or more then I doubt the surface has anyhting special. The only specific info I have found so far is in the anandtech hands on review. 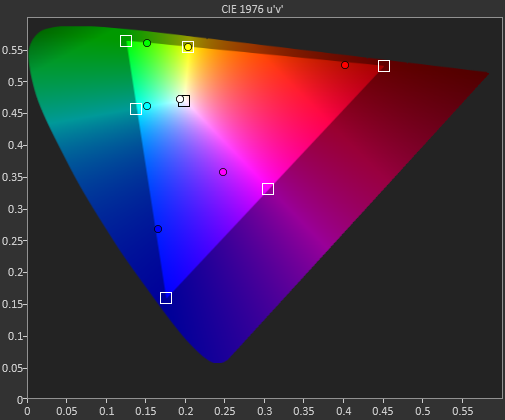 If I understand their wording and diagram, it produces close to the full sRGB color gamut. That should make it significantly better than past Surfaces which could reproduce no more than 70% of sRGB. 98% would be awesome. I'd definitely buy it if it has that high of a color gamut. Got them from the AnandTech SP2 review and SP3 preview. Surface Pro 2 versus Surface Pro 3. The graphs represent the sRGB, I believe. Is there really no other color choices for the back plate?